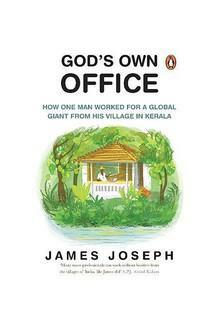 James Joseph was in his late thirties, well ensconced in his job as a director with Microsoft, when he decided to take a family vacation in Aluva, Kerala. His six-year-old daughter tasted a jackfruit from a tree in their own yard and remarked, Daddy, this is so delicious. I wish I could eat the fruits from this tree every year. Part memoir, part how-to, this is his amazing story of starting out from the backwaters of Kerala, becoming a corporate captain in America and then finding a way to have a successful career while working out of his village in Kerala. This book also contains tips and techniques for anyone frustrated with living in cities. How do you set up a home office' How do you integrate with the local community' Where do your kids go to school' How do you convince your company to give you this opportunity' God s Own Office may well inspire you to transform your life.